Alexandra Ocasio-Cortez continues to be a rising star within Democratic Party circles, successfully combining college campus-style identity politics on cultural issues with the hardline socialist ideology of Sen. Bernie Sanders (I-VT) into a package that could well be dangerous for America. As a Congresswoman-elect, she has been unafraid to challenge the party elites. Already, she has launched an assault on the office of incoming House Speaker Nancy Pelosi (D-CA), leading a group of far-left activists in a protest against the party’s environmental policies. She has been no less combative behind closed doors, sharing harsh words with Rep. Frank Pallone (D-NJ) after he attempted to criticize the formation of a new panel to discuss the issue of climate change. She has even taken the fight to the media, slamming a Washington Examiner reporter for simply expressing his views of her choice of clothing. Ocasio-Cortez’s biggest obstacle, for now, is her age. As a 29 year old, she will not be eligible to run for President by the 2020 election. However, this does not mean she cannot play the role of kingmaker. Although she was a prominent campaigner for Sanders in 2016, she has indicated that she will not automatically support a second bid by him, hinting she is looking for someone who can better tick the diversity boxes, such as Rep. Tulsi Gabbard (D-HI). With over 30 Democrats currently considering 2020 presidential bids, there will certainly be no shortage of choices for Ocasio-Cortez and the faction of the Democratic Party she represents. 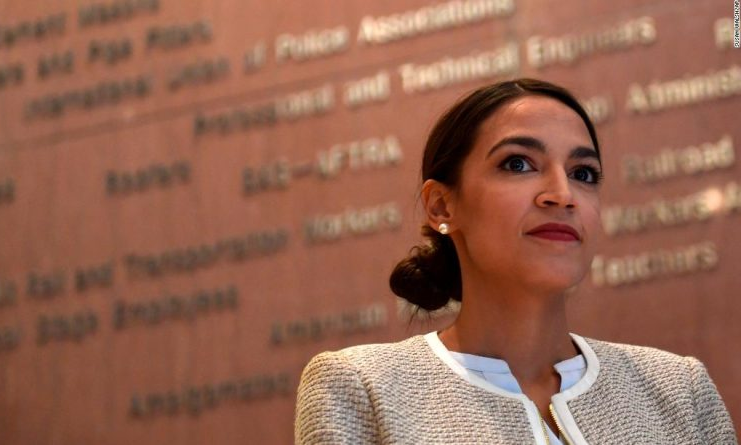 Although Ocasio-Cortez is popular among the Democrat base, it remains to be seen whether she will have a wider appeal that could enable her to assume a leading position within the party. Although popular opinion of socialism has unfortunately improved, it is still regarded as a radical ideology in the United States. Furthermore, her statements, which can be exclusionary towards white males, may imperil the reach of her message, though the importance of this may shift as demographics do. With America becoming more ethnically diverse and young people being further left than ever before, Ocasio-Cortez may well find that she can assemble a suitable coalition to mount her own presidential bid in 2028 or 2032. Only through strong immigration controls and an uncompromising attitude towards socialism can we contain this threat.